Why are cat books so popular? People are obsessed with cat pictures on the Internet. 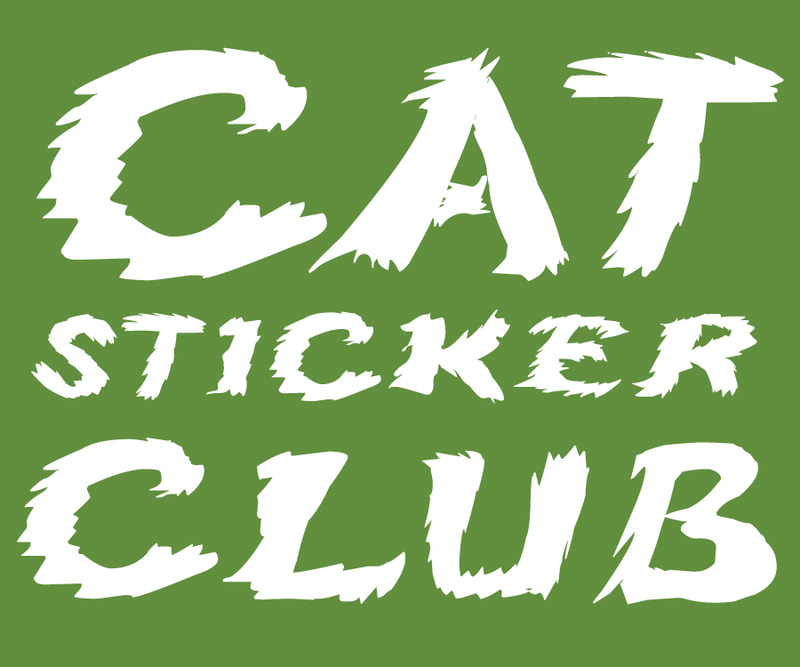 Over fifteen percent of the web is cat-related content. That's a lot. Cats are now taking over the literary world as well. No matter what genre you look at – horror, mystery, Christmas, romance, memoir – it's easy to spot books in which cats are an important part of the story. While researching my book Avalon: a Heartwarming True Cat Story, I read a lot of pet books to have an idea of what works and what doesn't. Just like so many other people, I quickly found myself addicted to those stories. I came up with three theories on why cat books are so popular. Did you have a bad day? 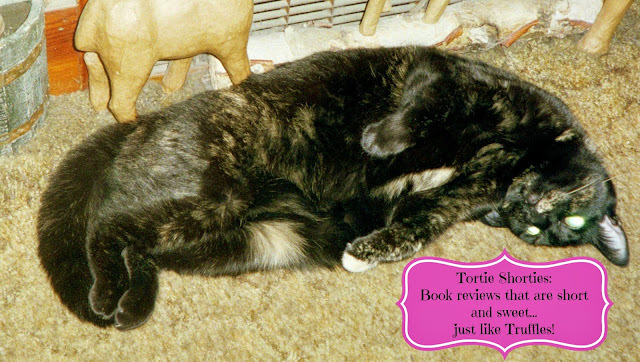 If you delve into a good cat book, you can't help but smile and feel positive again. Cat books remind us of the good things in life: loyalty, true love, and friendship. 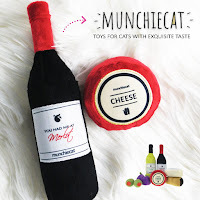 And, of course, any cat's behavior will have you crack up with laughter in no time. By picking up a cat book, you are guaranteed to be confronted with lots of positive vibes and emotions. This can be addictive. Because once you know how easy it is to smile when you feel down, the more you'll seek out those feelings. Humans are hardwired to love on anything that is cute and cuddly.Whether it be babies or pets, most people want to make them happy. Therefore, we tend to recognize ourselves in and identify with the characters portrayed in cat books. We all want to belong and feel understood, and reading cat books is a good way to remind us that we do. Research shows that cat people are more introverted than dog people. Instead of going for long walks, they prefer to stay inside and read a book, preferably with a warm cat curled up on their laps. And if that book helps them to feel better about themselves and the world, then so much the better. So, there you have three possible reasons why cat books are popular. Do you agree or disagree? Can you think of other reasons why readers love cat books? Let me know in the comments or on Twitter using @eeriestories. 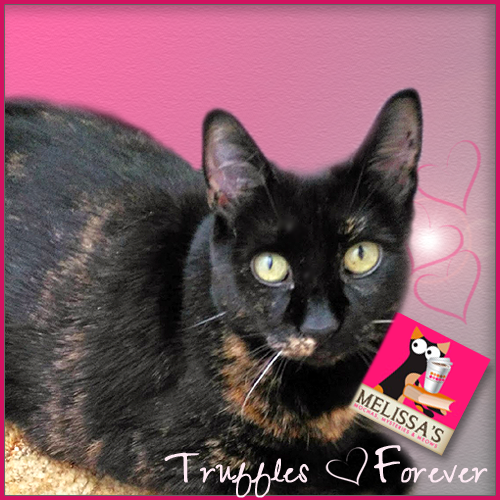 Blurb: Some cats need nine lives to make a difference. Avalon only needed one. 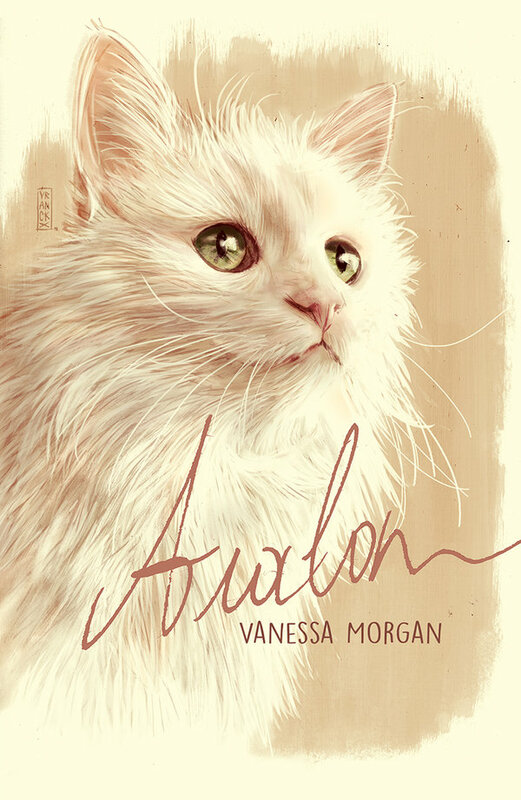 When I read the blurb for this book I was immediately captured by the line: "Avalon is a memoir for anyone who has ever been obsessively in love with a pet." I know that line fits me to a tee...every single cat I have shared my life with I have been obsessively in love with. My cats have shown me a love that I have never experienced with a human, and given the choice I would choose to spend time with them over any human companion. 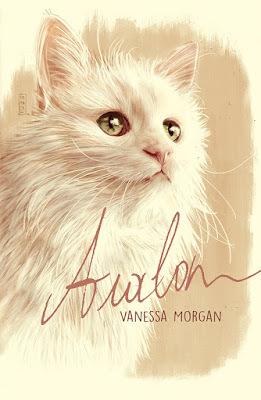 This incredible meow memoir introduces us to Turkish Van cat Avalon and his human, author/screenwriter Vanessa Morgan. Their love story rivals anything you will read between humans and I found myself completely engrossed in the intensity of their bond. From the moment they meet it's apparent that they were destined to be together, and their love continues to grow with every moment that they spend together until they both find it nearly impossible to be away from each other. After finishing the book I sought out Avalon's blog and spent a great deal of time going through so many gorgeous pictures. It was then that I realized Avalon passed away just 13 days after my angel Tara did, and also of heart disease. One quote written on the night he died struck me to my core, because I felt the exact same way after losing Tara: "How I am supposed to live the rest of my life without him, I really don't know. With Avalon I lost my soulmate, my purpose, my inspiration, the one great love of my life. Our love was the kind that transcended time and, I'm sure, will even transcend death. I will love you forever, Avalon." I adored every moment of this amazing book that celebrates a love story that I won't soon forget. Author bio: Vanessa Morgan is an author, screenwriter, and blogger. Two of her works, The Strangers Outside and A Good Man, have been turned into films. Her short film script Next to Her is currently in pre-production. When she's not working on her latest book, you can find her reading, watching horror movies, digging through flea markets, or photographing felines for her blog Traveling Cats (http://travelling-cats.blogspot.com). Avalon has appeared in several of her books and films. Win a $25 Amazon gift card, a signed paperback copy of Avalon, a cat collar, and a pack of cat toys! My human noticed the prevalence of cats in literature a long time ago. These days, she even has a term for it: "kitty lit." Kitty Lit...we like that too! This sounds like a great book even though I know it will make me cry. 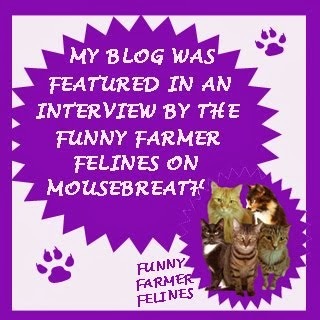 I will check out Avalon's blog too. Sounds like a good book. Pretty cover. You come up with the best books, Melissa! Thank you! 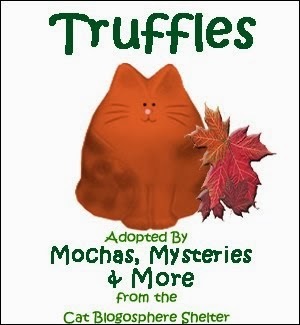 Happy weekend to you and Truffles. 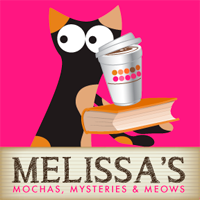 I'm following Melissa's blog for years now. She has inspired several of my reads. Avalon was one of my first Twitter furrends. I never made the connection tho between his Twitter personna, the blog and Travelling Cats' Ms. Morgan until very recently. We don’t read too many books here but this one sounds like one that cannot be missed. As others have said, the cover is gorgeous. Sounds like a great book, would love to read it. In truth, most cats are loners who want to have their own space. But they've definitely got style and good looks! It's true - the world is in love with cats. I think everyone has their own reasons, but they seem to be most related to an experience they had with a particular cat. This sounds like a great book! Sounds like a gweat story. Y'all have a gweat weekend. We can tell this book really touched you - that makes it special! I love your info about why people are drawn to cats. I always say that a person who doesn't like cats has never known a cat. Thanks so much for sharing this at the Weekend Blog Hop at My Flagstaff Home!